We're delighted to present an evening of Bluegrass and delicious bourbon cocktails courtesy of Wild Turkey. 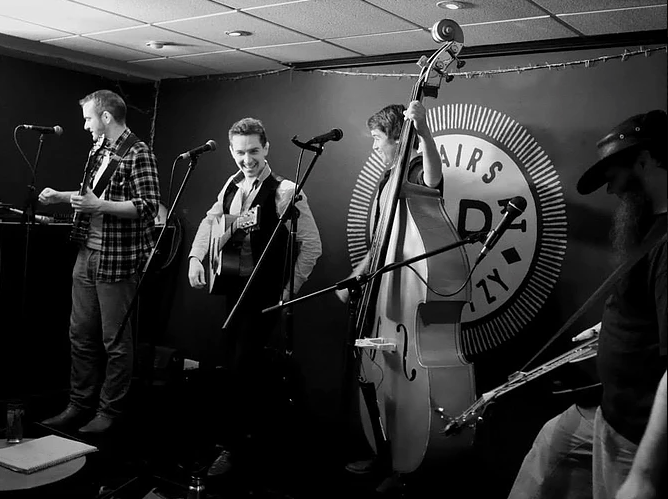 The Hot Rock Pilgrims, are an old-time supergroup featuring some of the most exciting young pickers in the South East of England. An old-time supergroup featuring some of the most exciting young pickers in the South East of England. As a result of the generous support of Wild Turkey, we are also able to offer a special menu of cocktails at reduced prices featuring Wild Turkey all night along with free live music courtesy of the brand.